Meet Toeinoi. She’s from Thailand and has a soft spot for many beautiful things Japanezee. She’s a botanical researcher and university lecturer in Bangkok and spends a lot of her time photographing amazingly enchanting photos. 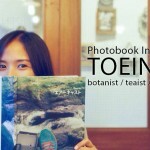 We were so fascinated when we found out about her and just had to sit down with Toeinoi-Chan. 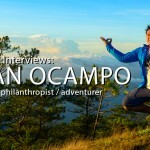 Bryan Ocampo is a jumping ball of positive energy and all-round good vibes. Dude’s from the Philippines where he oversees the family businesses and he seeks out nature, adventure and philanthropic pursuits in his spare time. We tracked him down to say what’s up to this pleasant gentleman. 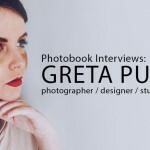 Greta Punch is an aspiring Photographer and Designer from Australia. She has just finished her first year in TAFE (that’s Technical and Further Education for all you non-Aussie folks) doing Graphic Design and is involved in the Australian premiere of the musical ‘Big Fish’. She’s got big dreams, and here she is sharing her stories with us. Jenifer Alicia Ooi, also known as Jennihsurf, has lived in Kuala Lumpur, Malaysia, for 14 years now. She’s a Creative Director for a Digital Advertising Agency and balances the pressure of work with the serenity of yoga. Some of her work caught our eye and we became fans.